A few Easter freebies this week! 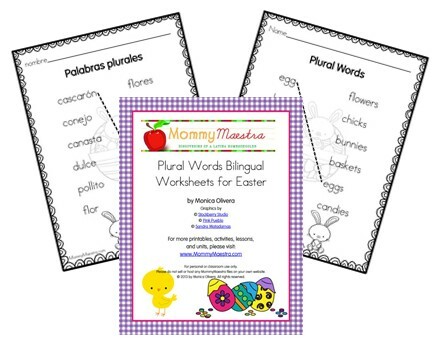 My kids always need practice on plural words, so I put together these quick and easy worksheets - one in English and the other in Spanish. Children just match the words with their plural counterparts and then color in the picture.